I’ll be clear right out of the gate- right now the reports of iPhone 8 Plus batteries expanding and cracking phones are statistically insignificant. 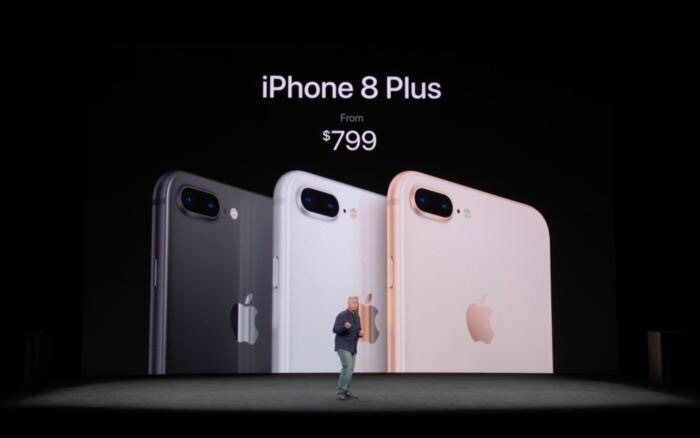 Whatever anyone thinks of the early sales of the iPhone 8 and 8 Plus, there are enough of them in the field that five to ten reports of this occurring doesn’t indicate a wide-ranging problem. This is only a brewing story at this point because it’s Apple, and it would be similarly the case if it was Samsung or Google. If this was happening with LG or Huawei phones, would we know right now? Probably not. There is no way for us to know exactly what is causing this problem right now. However, there are some assumptions that can be made on what may be, and what likely aren’t the causes based on the nature of what has been seen. When Samsung had their battery problems with the Note 7, it was due in part to an over-ambitious design that squeezed the battery and caused short circuits, resulting in extreme overheating and in many cases, burns and fires. We know that Apple is facing a much different issue here right out of the box. Since the iPhone 8 and 8 Plus use a very familiar design and form factor, it is unlikely that design changes to the phone had much, if anything to do with these cases of 8 Plus batteries swelling. If these cases continue to be isolated, then I believe that points to faulty batteries. Any component is going to have a failure rate, and it may be that the first run of the batteries included in the Plus had a higher rate of failure. Time and whether the numbers of these incidents grow or fade should tell that tale. If the cases continue to grow, especially at an increasing rate, then Apple will have to investigate some potentially larger issues with the 8 Plus. Batteries swelling could potentially indicate overcharging, which could point to hardware or software issues with the phone. However, these look unlikely based on the fact that the swelled batteries have only affected the 8 Plus so far. If there were hardware or software issues leading to overcharging, this would likely affect both models. Also, at least one affected 8 Plus arrived having already swelled in the box, which certainly points to battery issues with the specific model found in that particular version of the iPhone rather than overcharging. At the end of the day, faulty batteries is the odds on favorite as the reason for these cases of swelling, and if it is the case, it is good news for Apple. Component issues can be worked out at the factory without blanket recalls and affected devices can be repaired and replaced with new, working batteries. Then everyone can move on. If this is the answer and it becomes a bigger issue, the one with the most to lose is the battery manufacturer, as they will basically be doomed to bankruptcy as device manufacturers will abandon them. I certainly hope this continues to be isolated for their sake. So What Does Apple Do? Apple opened an inquiry into this situation after the first three or four cases appeared, which was smart. No matter what, it’s good to get a handle on these kinds of situations early and assess their potential impact. It is well known that Apple actually gives its in-store Geniuses and support personnel “hit lists” of items to watch for early after product launches. They will not only exchange these devices, but tag and fast-track them back to Apple for testing and analysis. Thanks to this, it is likely that Apple already knows what is at fault for these cases of battery swelling, and has determined whether it will have an impact or not going forward. Also, I can’t ignore the elephant in the room, and neither can Apple. After what happened to Samsung last year, battery issues are PR quicksand. There is no way Apple could blow this off, no matter how small of a problem it may turn out to be. It certainly isn’t as destructive or potentially harmful of an issue, but the fact that it kills the user’s phone still makes it a major inconvenience to them. That’s all fine and good. Could these cases of battery swelling been prevented by Apple? If this continues to be a sporadic issue that only affects a handful of phones out of millions, then no. In fact, absolutely not. There is no way any company is going to catch an outlier like that with internal pre-launch testing other than by sheer luck. If the battery manufacturer didn’t have existing strikes against them, there is no way any manufacturer could see something like this coming. Now if this becomes a more prevalent problem, then that would call Apple’s device and component testing and selection methods into question. I think this is very unlikely, but we don’t have enough information yet to know how common the problem is yet. We can have that discussion when we know more specifics, and you can bet that we will within the next month. Time will tell, but for now, this problem shouldn’t make any potential iPhone 8 Plus buyers lose sleep. If you are concerned, give it two or three more weeks. If there aren’t more than a handful of additional cases at that point, then you are unlikely to be affected. Again, these reports of iPhone 8 Pluses with swelling batteries are only making news at these small numbers because it’s Apple. The situation can’t be ignored however, because this is the same way that the Samsung Note 7 reports started, as well. The tech media are always looking for that next big story, and that one was a goldmine. However, right now, this one is still a tempest in a teapot, and I certainly hope it stays that way. Only time and Apple’s response will tell if it becomes more than that.